Sports, A Tool For Diplomacy? To the tune of “Arirang,” an ancient Korean folk song about longing and unification, the Korean Olympic delegation — a combined group of North and South Korean athletes — closed out the 2018 Winter Olympics opening ceremony. Dressed in all white, symbolizing peace, the athletes marched out under the Korean Unification Flag (a white flag with a blue silhouette of an undivided Korean Peninsula) carried by one North Korean and one South Korean member of the joint Korean women’s hockey team. The message of the opening ceremony was clear: unity and concord. Just months earlier, North Korea was threatening to derail the Winter Olympics. In late September of 2017, countries, like France, Germany, Austria, and even the U.S., expressed serious concerns over security, threatening to skip the Games for the safety of their teams. North Korea was seemingly more dangerous as the games neared; earlier that month, North Korea conducted its fifteenth nuclear missile test of the year (it would go on to test one more in November). Moreover, PyeongChang is roughly 40 miles from the demilitarized zone, the buffer zone between the two Koreas, and less than 200 miles from Pyongyang, the capital of North Korea . At that distance, North Korea was more than capable of majorly disturbing the Olympics. In the last South Korean Olympics (1988 Seoul Summer Olympics), North Korea attempted to do just that. When it was announced that Seoul would be hosting the 24th Summer Olympics, North Korea saw an opportunity. 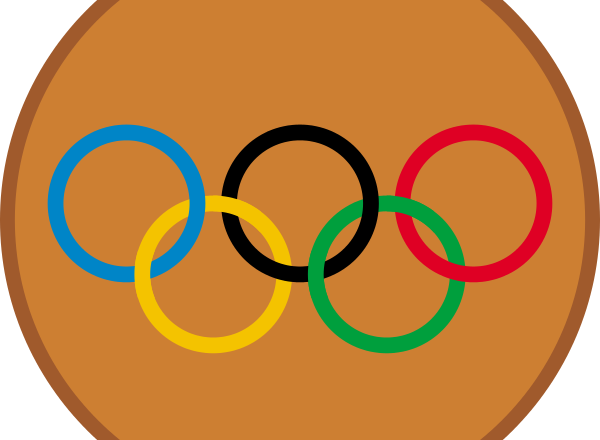 It proposed to the International Olympic Committee and to South Korea a joint Korean Olympics, but negotiations fell through. Abandoning all pretexts of unity and diplomacy, North Korea boycotted the 1988 Summer Olympics and resolved to disrupt the Games. In an attempt to frighten teams from attending the 1988 Seoul Olympics, North Korean agents planted a bomb on Korean Air Flight 858 traveling from Seoul to Baghdad; while flying over the Indian Ocean, the bomb detonated and destroyed the airplane, killing all 125 people (most of whom where South Korean) on board. Despite that, the 1988 Seoul Olympics took place as planned and were a tremendous success. South Korea was able to display its rapid economic development and social growth, paving the way for it to enter the international community; North Korea, on the other hand, became more isolated. Using sports to open a diplomatic dialogue has worked in the past. Take the case of the People’s Republic of China and the U.S. In the years following Mao Zedong’s 1949 communist revolution, the U.S.’ relationship with the PRC had been marked by Cold War propaganda, trade embargos, and diplomatic silence. But after nearly three decades, both nations were looking to open a dialogue with the other. In 1971, an opportunity for both nations emerged in a very unexpected place: The 31st World Table Tennis championships in Nagoya, Japan. A chance meeting between American table tennis player Glenn Cowan and Chinese table tennis player and three-time world champion Zhuang Zedong would spark a chain of events that would lead to the lifting of the “Bamboo curtain.” After practicing late one day, Cowan was forced to board the Chinese team bus; there he met Zedong. Though from adversarial nations, Zedong treated Cowan cordially, gifting him a silk-screen portrait of the Huangshan Mountains; Cowan reciprocated with a t-shirt with the Beatles’ lyric, “Let it Be.” This unexpected good will between an American and a Chinese, which was well-documented by journalists, gave the PRC the opportunity they were looking for. Mao officially invited the U.S. table tennis team to visit China; the team accepted. This was a monumental trip: It marked the first time an American had step foot in China since the Chinese Community Party came into power in 1949. What Time Magazine called the “ping heard round the world” was already resulting in diplomatic results. Four days into their visit, Nixon announced that the U.S. would be easing travel bans and economic embargoes on China; the government would soon open back-channel communication with each other. The following year, the Chinese table tennis team was invited the tour the U.S. But the most groundbreaking effect of what would become known as “Ping-Pong Diplomacy” was Nixon’s 1972 visit to China. Nixon — the first US president to visit China — met with the leaders of the PRC and took the first step towards de escalating tensions and normalizing relations. Sport is an unexpected place to begin international relations. As Nixon wrote in his memoirs, regarding Sino-American relations, “I had never expected that the China initiative would come to fruition in the form of a ping pong team.” Sports are important tools for diplomatic chess. They are innocuous ways for nations to express larger political goals, opportunity for interface between adversarial nations, and are a source of national pride. However, sports are not the panacea to diplomatic dilemmas; they are a starting point. In order for the symbolic message behind them to materialize, there has to be an underlying desire and willingness on both sides. Though there is no guarantee that the PyeongChang Olympics will resolve the crisis on the Korean Peninsula, North Korea’s willingness to participate is a reason for optimism.